Baptists often sing hymns during a worship service. 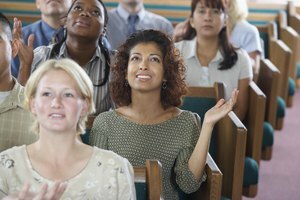 How Christians express faith through worship varies greatly from one denomination to the next. Some focus on the Eucharist, others rely on liturgy to guide worship and still others enjoy a free-form, participatory style. 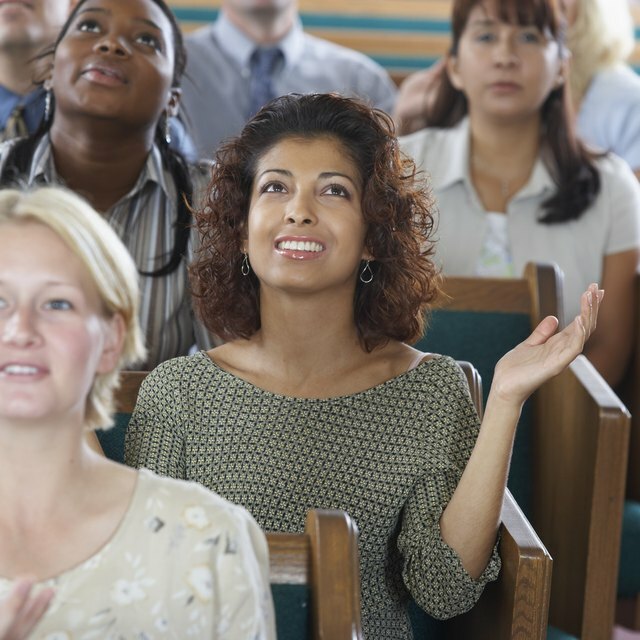 For Baptists, worship tends to be relatively simple and centers around the sermon. Many Baptist churches have a baptistery in the church. Baptism is considered a prerequisite to church membership and an outward declaration of the believer's newly found faith. Baptists only practice adult baptism. In a typical Baptist worship service music precedes the sermon. In some churches the music consists of traditional hymns, led by a music pastor or congregational song leader and accompanied by a pianist and perhaps an organist. Other Baptist churches offer more modern music, featuring keyboards, guitars, drums and praise and worship teams leading the congregation in praise choruses and contemporary Christian songs. The primary purpose of music in a Baptist service is to prepare the listener to hear the sermon. Like other Christian worship services prayer is central to Baptist worship. Baptist prayers are usually extemporaneous, and the minister or a member of the congregation may lead the corporate prayer. Baptist worship services often close in prayer, and many recite the "sinners prayer," a prayer asking God to forgive sins and accepting Christ as savior, as a group at the end of the sermon. A Baptist sermon is usually longer than a homily in a Catholic or liturgical Protestant church. The pastor or preacher chooses the topic and theme of the sermon. Some Baptist ministers prepare detailed notes while others speak extemporaneously. The sermon often concludes with an invitation. This is an appeal for those in attendance to make a decision to accept Jesus as their savior. In some cases, it may be an appeal for a "backslidden" Christian to recommit to Christ. 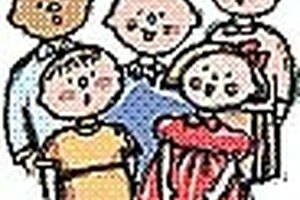 The invitation is often accompanied by instrumental music or an invitational hymn. 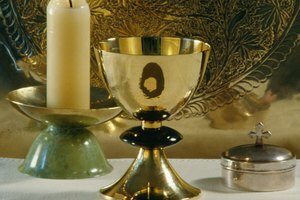 Baptists observe two sacraments: baptism and the Lord's Supper or communion. Frequency of communion is determined entirely by the local congregation, with some Baptist churches celebrating communion weekly while most celebrate communion once a month or less. Anyone who has accepted Christ as savior is invited to take communion. Baptists see communion as an act of remembrance. It doesn't carry with it any special or mystical significance, unlike the Catholic, Orthodox or Lutheran views of communion. Allen, Robert. "How Do Baptists Worship?" 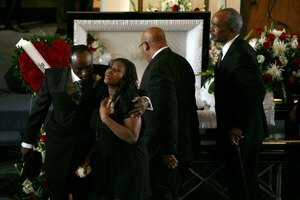 Synonym, https://classroom.synonym.com/how-do-baptists-worship-12086085.html. 29 September 2017.